Spring offers many surprises as things come out from hibernation during the winter period. This week Prior received an old PriorLux 100 series microscope from the Southport & District beekeepers who found themselves in possession of a donated microscope from the widow of the late Trevor Willets, a former pathologist. The branch is part of a larger association in the Lancashire and North West area helping to promote and further the craft of beekeeping. The microscope was in need of some spring-cleaning and repair as it was unusable in its current state. Many of the employees at Prior were surprised and glad to see an old microscope come home, especially since Prior is celebrating its 100th year anniversary. 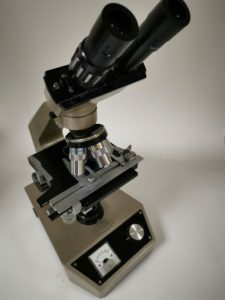 The microscope, a PriorLux 100 series, offers the ability to view bacteria at x1000 magnification and low magnification for whole objects and bee dissection. Built in 1970, it had 3 variations of transmitted light, including a 15 watt Kohler illumination. The stand came complete with viewing head, stage, objectives, condenser, and accessories. The microscope itself has been a very useful tool for the Southport & District beekeeper’s allowing them to monitor the health of the bees and make sure no diseases are spread in the hive. This has to be done using a compound microscope with high magnification allowing the beekeepers to view such diseases like Nosema, Varroa mite, bee mite and many more. “We were very grateful to Prior Scientific for the repair work they undertook, without this work we wouldn’t be able to monitor the health of the bees and continue our work helping the bee population” commented Barry Milne, the Southport & District beekeeper’s Co Chairman. Without the work of the beekeepers, the honeybee population would be in more trouble than it is already, and regular monitoring of the honey bees to make sure they are strong and healthy is important for the hive as a whole. 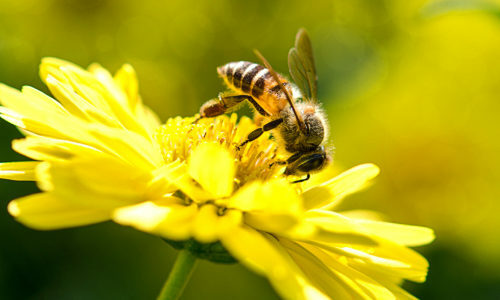 A topic in the headlines on a regular basis is that the honeybee is the only insect to produce food for human consumption. “It’s great to see an old microscope still being used today and the impact it is still having on the world around us”, noted Robert Haggart, Prior Scientific Product Manager. Today Prior Scientific with over 100 years of experience and engineering excellence continues as we manufacture OEM microscopes for custom solutions needed for the most challenging of industrial and biological applications.